Since the 19th century, the innovative phase of the world experienced a great spike. With inventions ranging from a steam engine to a truck, there is this one thing without which none of these inventions would’ve been possible. Yes, we’re talking about rubber belts here. The grade of rubber used. The type of cord used, generally known as the strength of the belt. The process through which these materials are utilized to manufacture a belt. Now, not many companies offer the best quality belts. Because the quality of a belt does not depend on its quality alone. However, just selling the belt isn’t enough. After sales support is what makes a good business, the best. And here, at Shibam, we make sure that no aspect of your experience with us defer you from acquiring success in your business. We are the best suppliers of V-Belts in the entire United Arab Emirates (UAE). This is because Shibam has the widest range of V-Belts that are applicable to almost any machine on the planet. The ‘spikes’, also known as the ‘V’ in V-Belts, are precisely measured so that you won’t have to face malfunctions in the future. Besides, we also trade the best-in-class timing belts. 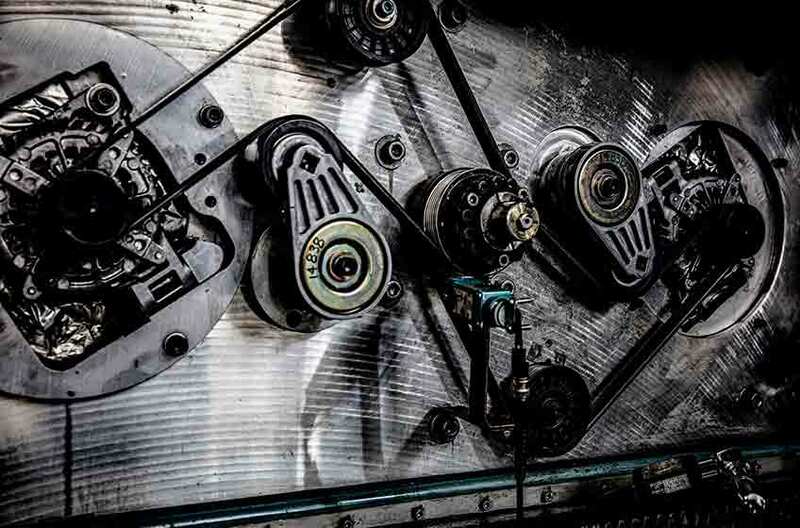 Power transmission will never feel venerable when our belts help run your machine. We don’t rest on our rich heritage of innovation. We leverage it to inspire solutions that will power the next hundred years. It is currently known as the best brand of Belts out there. And guess what? We host Gates in the UAE. In fact, we are the only Gates Belts Distributors in the entire span of UAE. Well, the unique aspect here is that we are the only source in the UAE from which you can get poly chain belts. Industrial belts are also one of our specialties. Although all of this does not remain relevant if there is no proper support. Here, at Shibam- if a belt does not satisfy your needs, you can expect a repair. However, that day would never come.